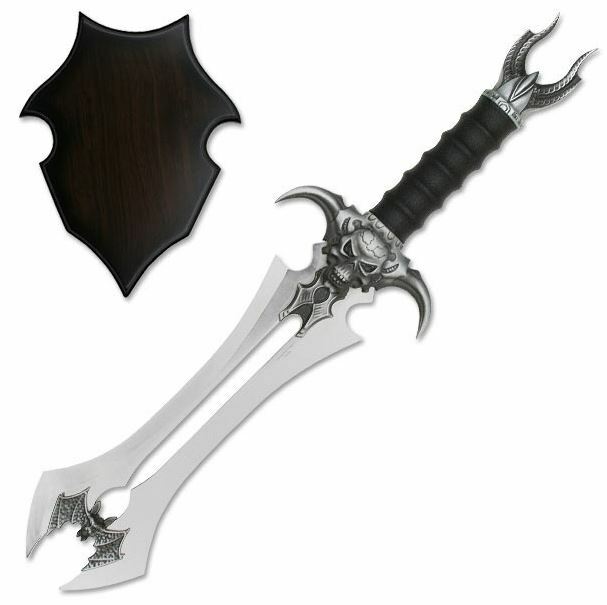 13 1/4" overall with an unsharpened, stainless blade of 6" with an engraved dragon motif. 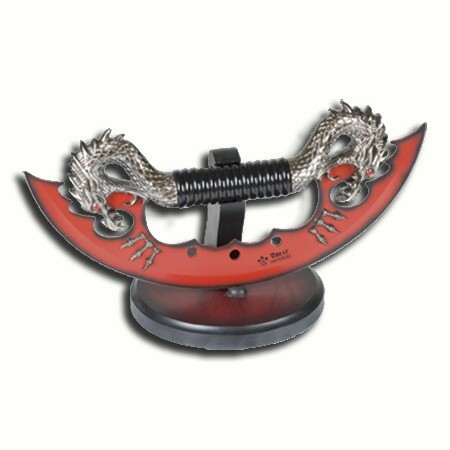 ABS handle and dragon metal guard and pommel. 18.5" Overall with a 10" unsharpened, stainless blade. Demon and bat motif, very detailed and good quality finish, complete with wooden plaque and fixings, bargain! 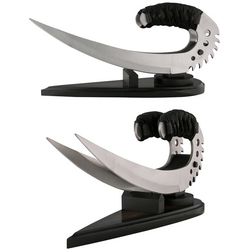 12" Overall with a sharpened, stainless blade with red and black finish. Cast metal handle fittings with polished acrylic handle. Complete with wooden table stand, good quality. 7.5" Overall with a sharpened 4.5" stainless blade. 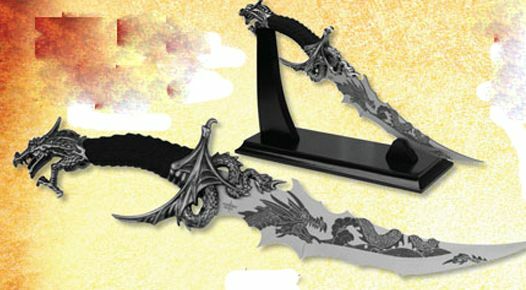 Cast metal dragon handle and a ornate plastic table stand.